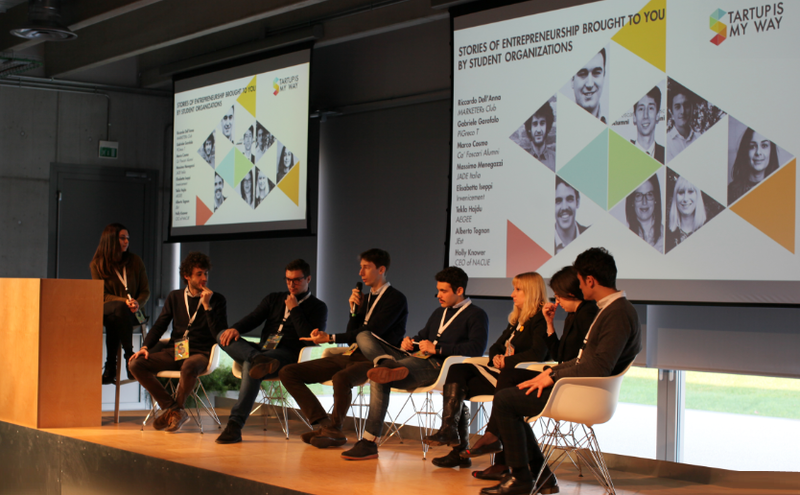 On December 6, EU-startups.com had the chance to participate in the STARTUP IS MY-WAY conference in Treviso, Italy. It was an exciting event for students and young entrepreneurs which provided them with the great opportunity to meet mentors, investors and other key players of the European startup ecosystem. STARTUP IS MY-WAY was organized by MY-WAY – an EU funded project, which is part of the Startup Europe initiative. MY-WAY focuses on enhancing and improving the entrepreneurial impact of student organisations by connecting them with web entrepreneurship initiatives and digital business experts. The ultimate goal of the project is to improve the status quo for the benefit of Europe’s young adults who are considering to become web entrepreneurs. STARTUP IS MY WAY was the 5th Student Enterprise Conference of the MY-WAY project and was held at the beautiful H-FARM campus. H-Farm is an organisation which helps young entrepreneurs launch new initiatives, and supports the digitalization of Italian companies. The event on December 6 enabled students and aspiring entrepreneurs to network with peers, and learn new skills to pursue their dream of starting their own company. It was really great to see so many young and passionate people in one place! The speaker’s list of STARTUP IS MY WAY included successful entrepreneurs and startup experts like Riccardo Donadon (H-FARM Founder), David Trayford (thehub.hu Founder), Eliana Salvi (Founder of Pinktrotters) and Sofie Annikki Dralle (CEO and Founder of StopMyCraving). At the student organisation panel, young representatives from JADE Italia, AEGEE, NACUE and other organisations shared their learnings and best practices on how to inspire and support young people on their journey to become successful entrepreneurs. One of my personal highlights of STARTUP IS MY-WAY was the panel discussion about female entrepreneurship, which was moderated by Europa Media‘s Krisztina Toth and joined by the female founders Eliana Solvi (Pinktrotters) and Sofie Annikki Dralle (StopMyCraving). 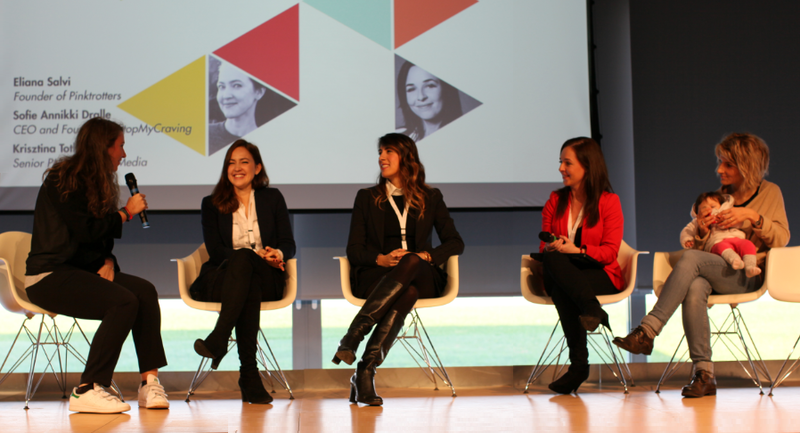 It was a lively discussion about the hurdles and success stories of female entrepreneurs. The panel encouraged young women in the audience to start their own business and the panelists demanded men and successful business women to support female entrepreneurs. In the afternoon there were many great workshops, where the STARTUP IS MY-WAY attendees could learn about topics like: “How to pitch”, “Competitor Analysis”, “Business Model Canvas” and “How to learn from failure”. Long story short: STARTUP IS MY-WAY was an exciting event which inspired young people to see entrepreneurship as a potential career path. The attendees left the venue with a lot of valuable advice, inspiration and some new connections.